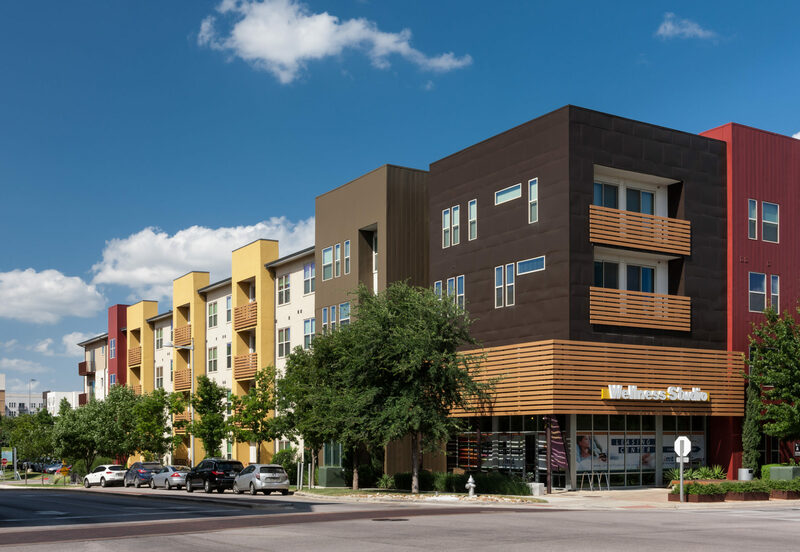 A wildly successful new destination in North Austin, the commercial redevelopment of the former IBM campus into the walkable urban center known as The Domain, is a paragon of contemporary regional placemaking. 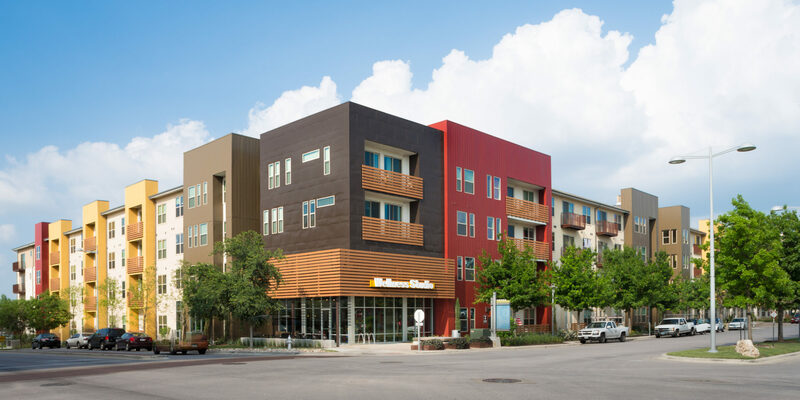 The fourth phase continues the growth of the master plan by adding mixed-use high end, sustainable, residential units and ground ﬂoor retail on the commercial spine of Rock Rose. 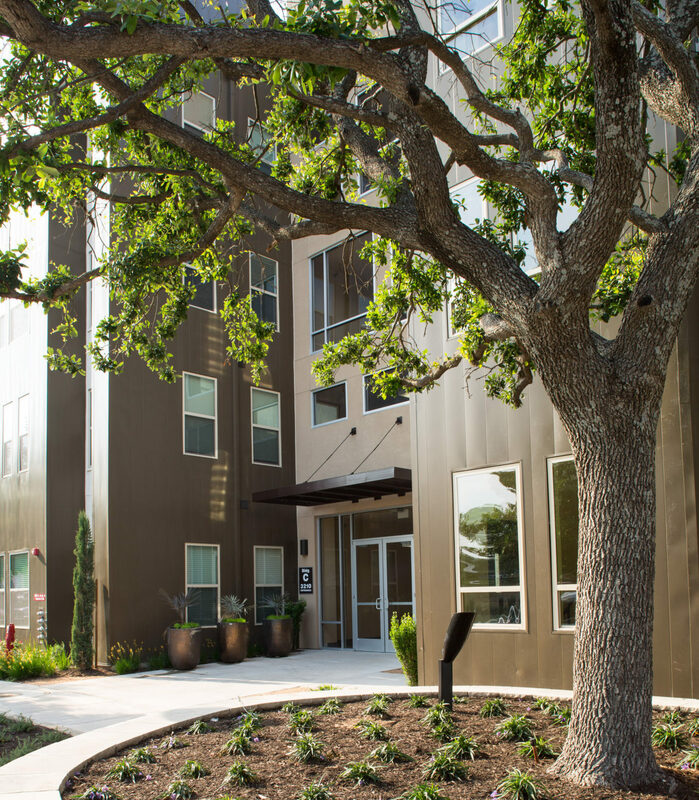 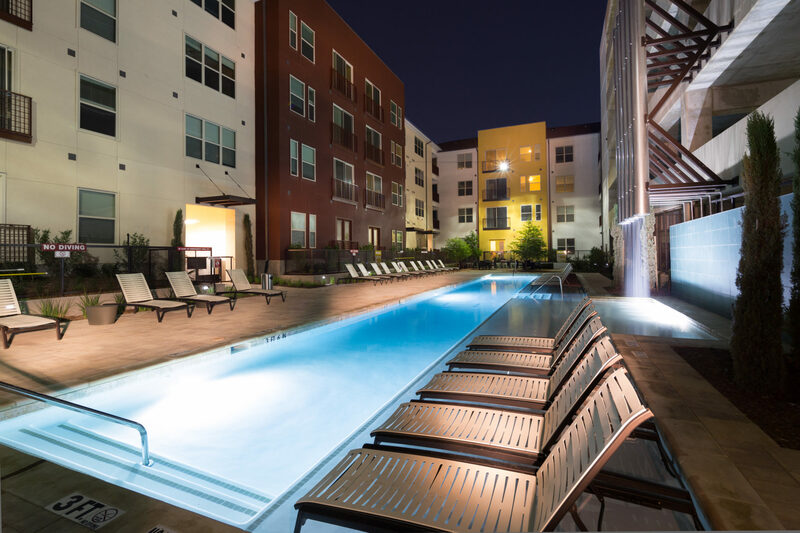 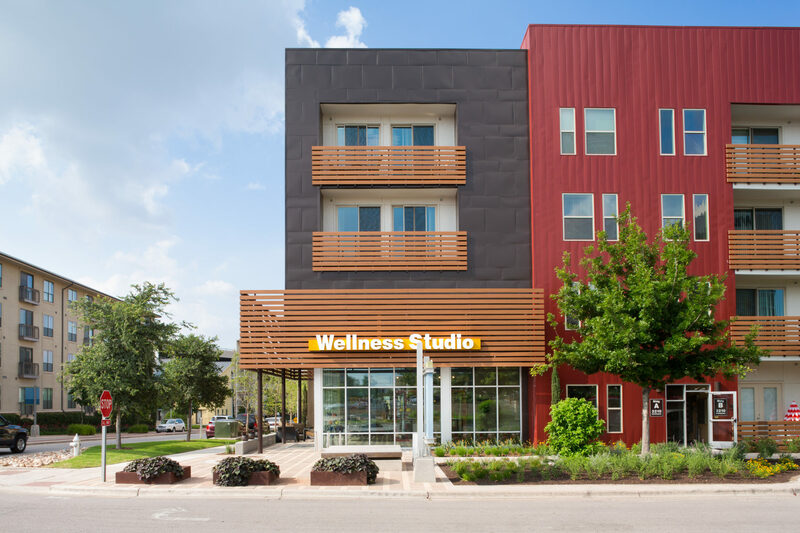 The project oﬀers urban living and shopping that achieves an environmentally sensible two Star Austin Green rating. 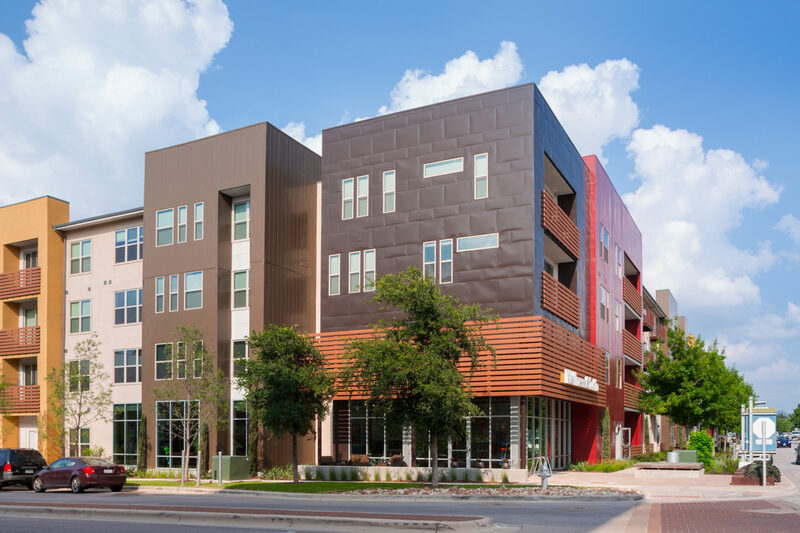 The project is further integrated, displacing a greyﬁeld parking lot for an adjacent oﬃce complex and integrating their parking needs into the new structure to enhance the urban experience.